I really don't like this time of getting ready for a long hike. Time is short, I've got stuff all over the floor and boxes almost full of necessary stuff. Having to make final decisions about gear and trying mightily not to keep adding stuff, for "just in case." After all these years you'd think it would be easier to resist the pull, but it's not. Plus, no matter how hard I try not to do so I always seem to hurt myself just prior to taking off. This time it's my low back. I'm sure it'll be fine in the end but it puts a kink in my training. Good thing I'm only planning 12 mile days for the first week. I just posted a document and images of the clothing I'll be wearing/carrying on this trip. It's under the page Gear Planning for 2016. I'll post the rest of the images and data once I finally get it ready and written down. 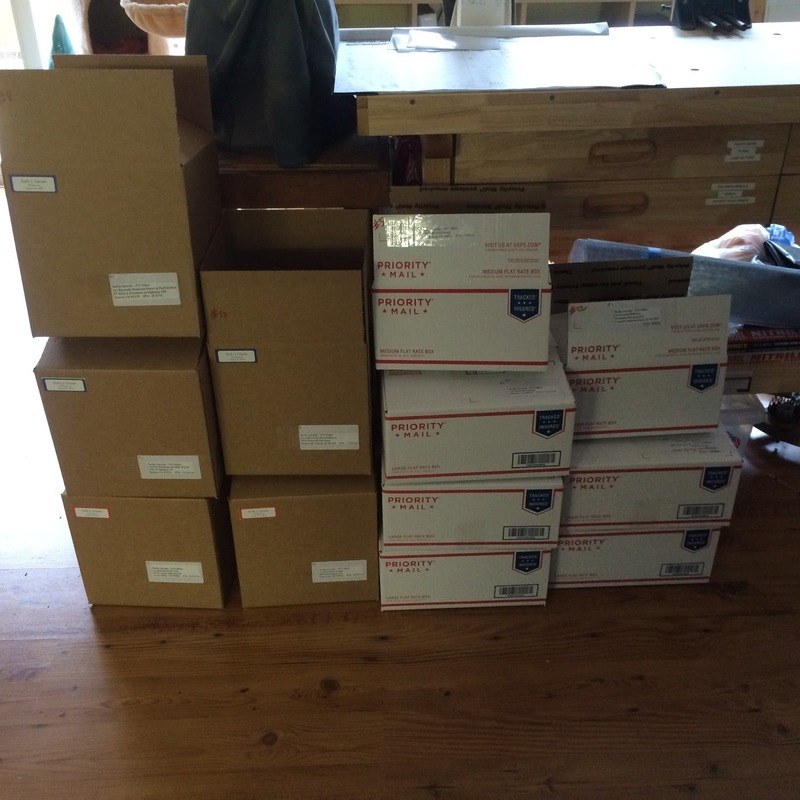 In the meantime I have (mostly) finished my resupply boxes and will be sending off three on Monday. I can send UPS boxes all at the same time as they are going to private businesses and the three week limit the Post Office has won't apply in those cases. I much prefer to get most boxes sent before I leave so I don't inconvenience family any more than necessary. Not sending this many. This is from before I had to chnage my plans. Now I only have 8 boxes and one bear canister.